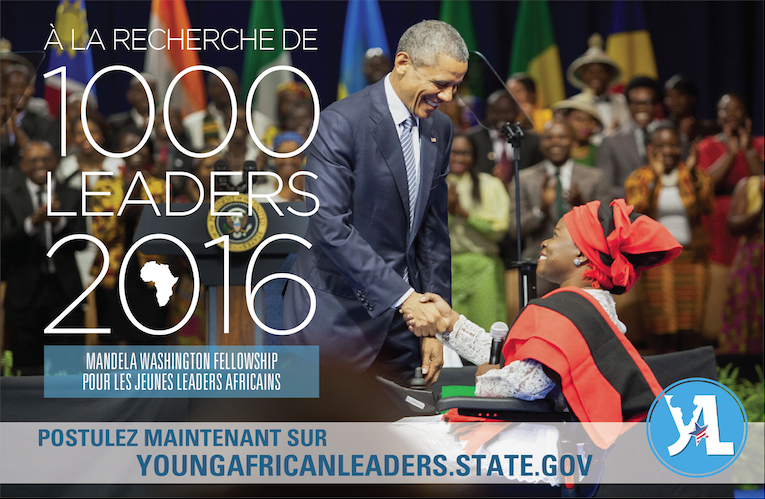 The Mandela Washington Fellowship embodies President Obama’s commitment to invest in the future of Africa. Through this initiative, young African leaders are gaining the skills and connections they need to accelerate their own career trajectories and contribute more robustly to strengthening democratic institutions, spurring economic growth, and enhancing peace and security in Africa. The Mandela Washington Fellowship is a program of the United States Government. The U.S. components are administered by the U.S. Department of State’s Bureau of Educational and Cultural Affairs and supported by IREX, a U.S. non-governmental agency. The Mandela Washington Fellowship for Young African Leaders is the flagship program of the Young African Leaders Initiative (YALI) and is made possible by the generous support of the American people through the U.S. Department of State and administered by IREX. For more information, please visit MandelaWashingtonFellowship.state.gov.